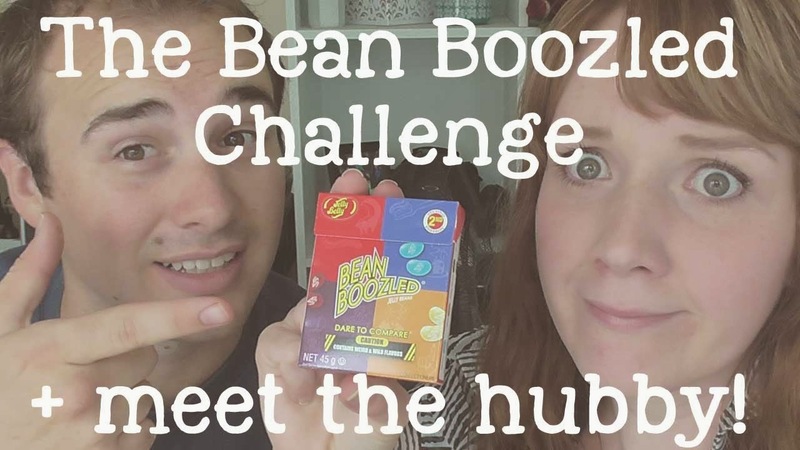 Yesterday I was in the Plaza (Palmerston North's mall) and found these Bean Boozled jellybeans at United Sweets. I watched Olivia (xlivlovesmakeup) do this on her YouTube channel awhile ago and thought it was absolutely hilarious! So even though it's completely non-nail-related, I thought I'd make a video about it. My husband Chris was the best choice of sidekick/victim so I begged him to do it with me. We ending up agreeing that if my Facebook status and Instagram post about it got a combined total of 500+ likes, he'd do it. I actually thought we had no chance, but this morning I woke up to 534! Great news for him when he woke up... He legit tried to get out of it but I wouldn't let him ;). We ended up having heaps of fun filming it and he said he'd be keen to do more videos with me, if my viewers were interested. My mouth still tastes disgusting though! Hopefully the video works - it's only just uploaded, and sometimes when it's that new it doesn't display the visual (just the audio) for the first hour or so. I freaked out and almost re-uploaded the first time it did that but now I'm used to it ☺. Who else has tried these jellybeans?